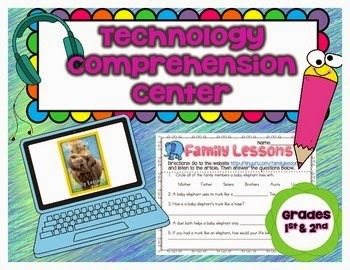 Technology Comprehension Center FREEBIE | The Techie Teacher® . I have blogged about this site several times before because it is such an incredible resource! Your students have the option of listening to the article or reading the article themselves...HELLO DIFFERENTIATION! Welcome ELL children! Each month National Geographic adds another magazine to the FREE digital collection. 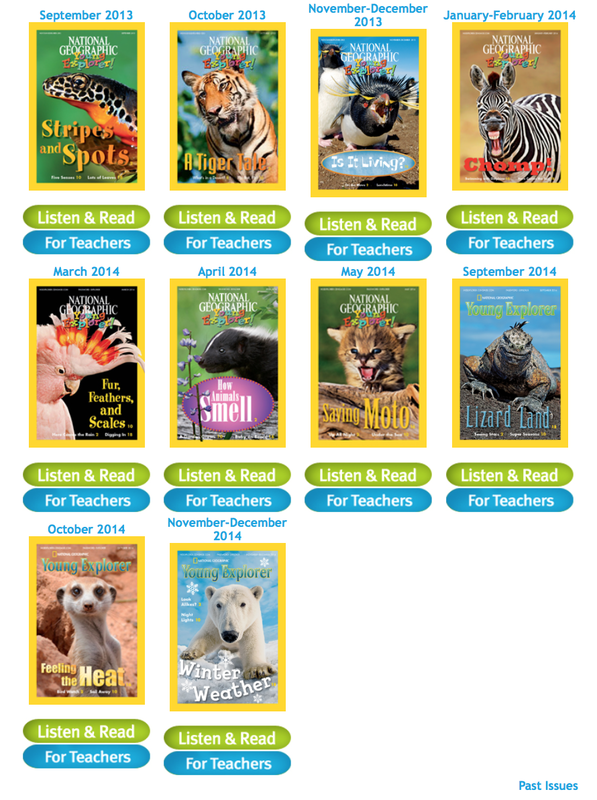 Furthermore, they offer teacher resources to go along with each magazine. I created a little accountability sheet to go along with the article, Family Lessons. It is such a cute article about elephants and their trunks. Please download and leave feedback if you can use this in your listening center! This post came just in time for me. I am super interested in read aloud sites for students. I will be using them during literacy stations with my first graders. Thanks so much for the head's up. If you hear of any others, I'd love to know them. Hey Julie! I am SO glad you can find this useful :) I have a handful of sites that I know of that would be great. Maybe I'll make that next week's blog post. Thanks for stopping by! This is great, Julie! I have included links to National Geographic before, but I think I've always landed on them from the back door. It's nice having a selection menu. Thanks for sharing.